3A $100 [Global Entry] or an $85 [TSA Pre✓®] statement credit [for whichever program is charged first] will be processed after the Global Entry program application fee OR TSA Pre✓® application fee is charged to your Visa Signature Rewards card. Visa Signature Rewards cardholders are entitled to one statement credit per eligible Visa Signature Flagship Credit Card number every 4 years per Global Entry or TSA Pre✓® program. Statement credit applies to application fee charges made on or after account opening. Please allow 6-8 weeks after the applicable program application fee is charged for the statement credit to post to your account. Cardholders are responsible for payment of all charges until the statement credit posts to their account. 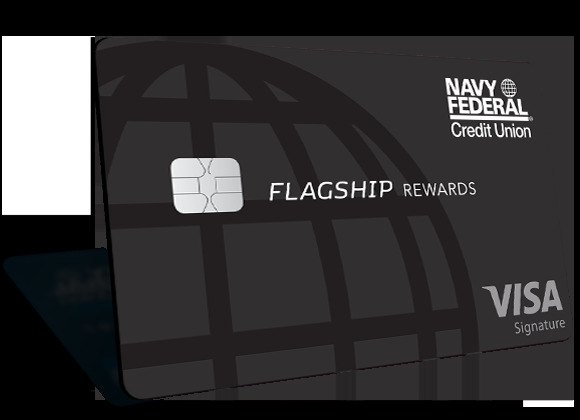 Visa and Navy Federal Credit Union reserve the right to modify or cancel this offer at any time and without notice.